Today's article is going to be about one of my dearest friends. Sometimes you meet someone and you instantly click. And the longer you know each other the better and deeper the friendship gets. And this is exactly the case. 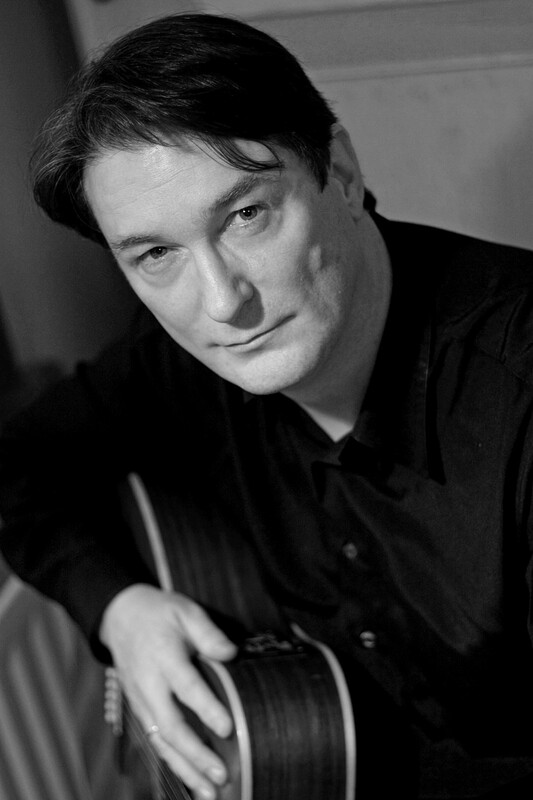 J Eoin is gifted and acclaimed singer/songwriter from Limerick, Ireland who spent nearly thirty years living in London before moving back to his native land in July of 2017. What was the first thing that got my attention? Well, there were several. We first met in 2012 when he came to play in my hometown and I didnt know anything about him at tha time. But I've always liked singer/songwriters so I thought this might be another artist to discover. I listened to a few songs in advance just to get an idea and after the first song I was completely fascinated. He has exactly the tone of voice that I like the most. so the voice was the first factor and the other came later in the evening, getting to know this friendly Irishman a bit more. And also, my friends know me as someone who loves Ireland and the Irish language as well. And when J told me his mother tongue is Irish - I couldn't be happier. Why should you listen to his music? J Eoin is not only inmensely talented songwriter with a voice that heals your soul and scares all the worries away but he is also a Master guitarist and you realize that from the moment he touches the instrument. He writes poetic songs that have a meaning. When you admire someone's work, you always try to spread the word about their art as much as you can. I was lucky enough to be able to see the other side of J Eoin's gift beside his songwriting. In 2015 he invited me to a trad session in London he played at and so I could see the extent of his gift. It's hard for me to put into words what this amazing human being means to me. I feel honoured and thankful for the friendship we share, for the trust between us and of course - I'm inmensely grateful that he supports my own songwriting efforts.